One more shot from my recent foray into downtown Atlanta. 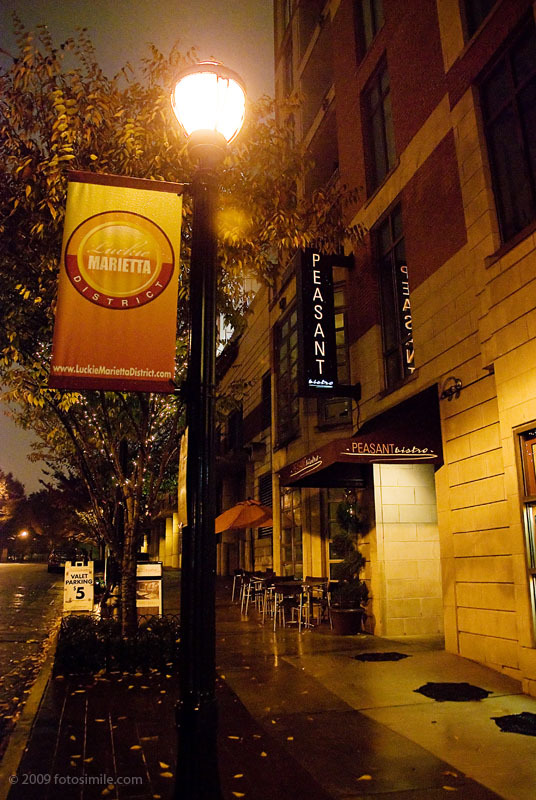 Taken on the sidewalk in front of the Peasant Bistro on the west side of Centennial Park, Atlanta's "lite" version of a Central Park, built prior to the 1996 Olympics. After-dark shots like this can be unpredictable but, when they are as crisp as this, I wonder why we don't take more like it !